Seat Pleasant offers Smart City services that are better, faster, and more personalized, making it a City for ME using information and communication technologies with the Internet of Things (IoT). 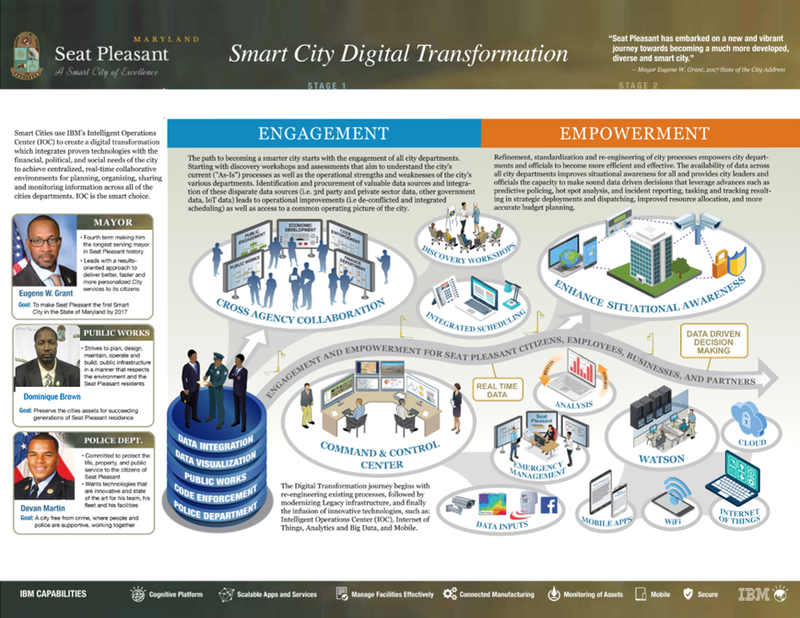 The Smart City Program leverages Seat Pleasant's Connected Government Solution (CGS) as a core information management solution. The solution leverages tools aimed at improving internal city operations as well as improving interactions with our residents. One component of the solution is IBM's Intelligent Operations Center (IOC) which leverages existing data sources and enhances them with sensor-based information from City vehicles, streetlights and smartphones to provide better, more efficient services for residents. 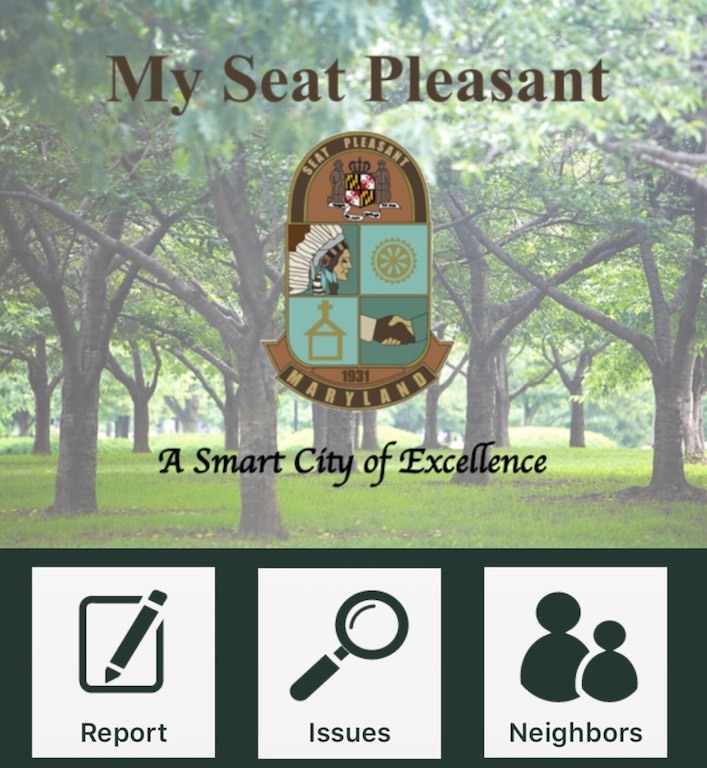 The My Seat Pleasant app is a public-facing mobile application providing direct benefits to Seat Pleasant residents, businesses, and city employees. This mobile application provides a host of features, including (but not limited to) service requests, a library of city codes, a city document library, a city directory, on-demand broadcast (push) notifications, garbage/recycling and snow removal schedules, city job listings, online payments, events and activities listings. Ask Watson is a natural language question and answer ChatBot based on IBM Watson technology. It offers a conversational self-service experience that can take questions about the City and the services we offer, and provide the correct answers in real time. Utilizing IBM Watson advanced machine learning models, the ChatBot listens and understands our resident's questions no matter how the question is asked.